Stating the obvious should not be a surprise to many drivers throughout the Burke, VA area, but what is surprising to drivers throughout Northern Virginia is a new report. Recent reports found most drivers in the United States are keeping their cars longer than they did just a mere two years ago, because of the economy. Now, this again probably is not big news, but what you may not realize is just how important routine auto maintenance becomes in these older vehicles. Data tells the story of Northern Virginia motorists keeping their vehicles past the 100,000 mile mark for the first time in many years. Rather than investing in a new automobile, Washington DC area drivers are saving their pennies and maintaining their current transportation. But what exactly does that mean? Here is a list of maintenance tips for older vehicles, designed to help keep your car on the road longer. Oil Changes: Even though we all know you should regularly change the oil in your vehicle; this becomes even more important as they age. After use, motor oil begins to breakdown and becomes thinner — leading to less protection for your engine. Also, as it ages, motor oil becomes dirty and the dirt, grit, dust and anything else it contains can lead to significant engine damage. Fluid Checks: Ensuring the fluids such as transmission fluid, engine coolant and brake fluid helps aid in performance and longevity as well. Check the manufacturer's recommendations for each of these items, and change them as recommended. Pay Attention to Warning Lights: Now more than ever, when a warning light pops on, pay attention to it. Sometimes the light indicates nothing more than recommended service, and other times it will alert you to a significant issue with your vehicle. No matter which is the case, it is important you take your vehicle in for maintenance or service as quickly as possible. For more information on how to keep your older vehicle on the road longer, stop in and see our highly trained professional staff at Wiygul Automotive Clinic today. 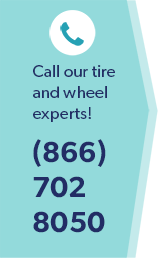 Serving the Burke, VA and surrounding areas, our technicians are trustworthy and dependable, and will help keep you on the road and your car in good repair.